Jurassic World is a hard movie to get a handle on, especially for a summer blockbuster. At times it seems really smart, a completely worthy successor to the original Jurassic Park. At others it seems like the worst of braindead schlock. It fully acknowledges the crassness and intellectual barrenness of just constantly trying to be “bigger” and “more,” while simultaneously trying to be “bigger” and “more” than its predecessor. At other times it is reverently echoing not only Jurassic Park, but a plethora of Spielberg movies. It flits from joyous wonder to complete cynicism. It doesn’t have Furious 7’s complete disregard for reality, nor Fury Road’s perfectly coiled narrative, but somewhere in this messy movie is a solid heart. Jurassic World starts with a theme park on the island that is not only operating, but very successful. After the disaster of Jurassic Park, Hammond wouldn’t let the idea of the park die and sold it to a businessman who could get it up and running. In the present of the movie, it has been running long enough that people are starting to get tired of merely seeing dinosaurs, so scientists at Ingen have cooked up something special, a hybrid dinosaur called Indominus Rex. Surprising no one, the new attraction breaks free and wreaks havoc on the island. It chases around a pair of kids, Gray and Zach, sent to spend some time with their Park Director Aunt Claire. She is too busy running the park, leaving them with her assistant to get the expertise of Owen, who is doing a field study with velociraptors. When the new attraction breaks loose, the whole park is put in danger. This movie doesn’t stray too far from the original Jurassic Park. Literally, as it takes place on the same island and occasionally in the exact same buildings. There is a dinosaur theme park and the dinosaurs get loose, havoc is wreaked. There are other Spielberg movies referenced as well. There is a short chase scene right out of Indiana Jones and the great white shark fed to an aquatic dinosaur as an attraction can’t help but be reminiscent of Jaws. 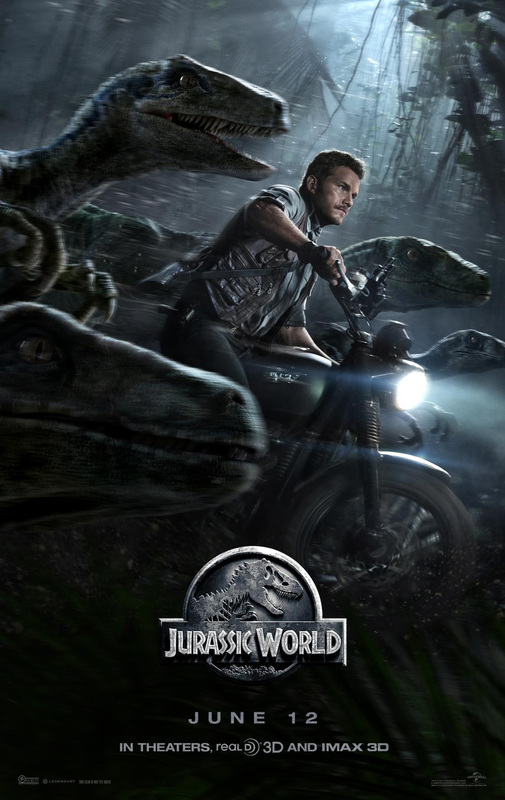 It is the mix of crass pandering and thoughtful update that makes Jurassic World hard to parse. It is well executed in most aspects, but it is built on an irreparably flawed foundation. It can’t shake the fact that it is exactly the thing it is criticizing. It manages to work on Chris Pratt’s considerable charisma and the actual likeability of the two kids running around. Vincent D’Onofrio does what he can with a terrible and unnecessary villain. Bryce Dallas Howard’s Claire hovers on some line between awesome character and sexist stereotype. She is undeniably competent and under control, but the film also seems to castigate her for working while her while her nephews are around. She wears heels, which are actually appropriate footwear for her job, for quite a bit longer than is in anyway sensible and for long after she had been advised to remove them. Her character is much like the movie itself, largely admirably but stuck with some hard to excuse warts.